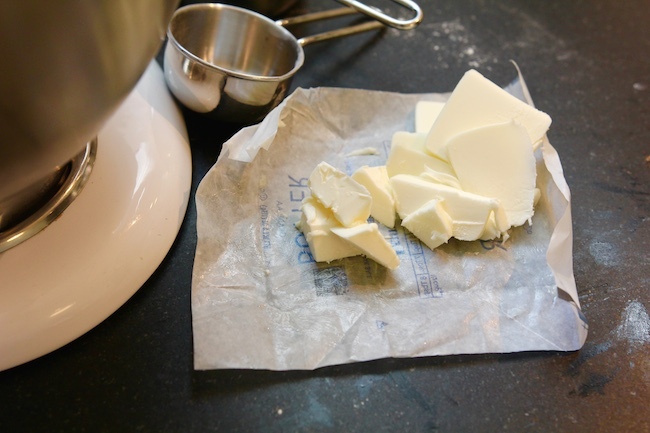 Mix together salt and one tablespoon of water in an electric mixer. Add flour and butter, and mix on low until mixture it gritty. Add the egg and egg yolks, one at a time, and then add remaining water. Mix until dough comes together, no more than two minutes. 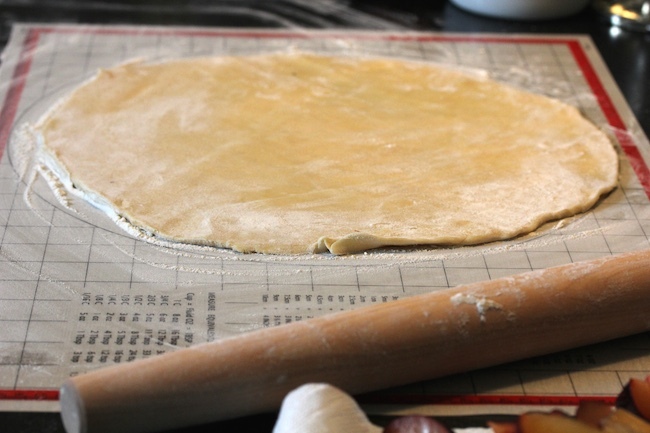 Turn dough onto a floured board and press dough into a 6-8 inch disk. Adapted from a 1978 Gourmet Magazine recipe. Take the Pâte Brisée and roll out in a large circle on a floured board. In a large bowl, combine ½ cup sugar, ground almonds, and flour, and spread almond mixture across bottom of pastry dough. 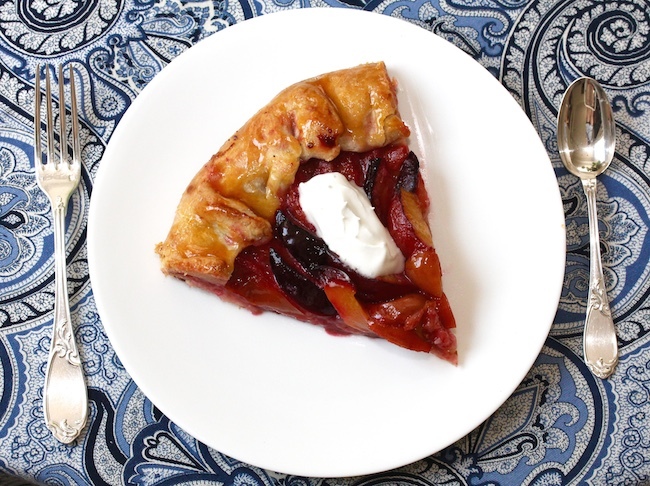 Arrange plum wedges on top, leaving at least two inches of dough open along the outside, and dot plums with small pieces of butter. 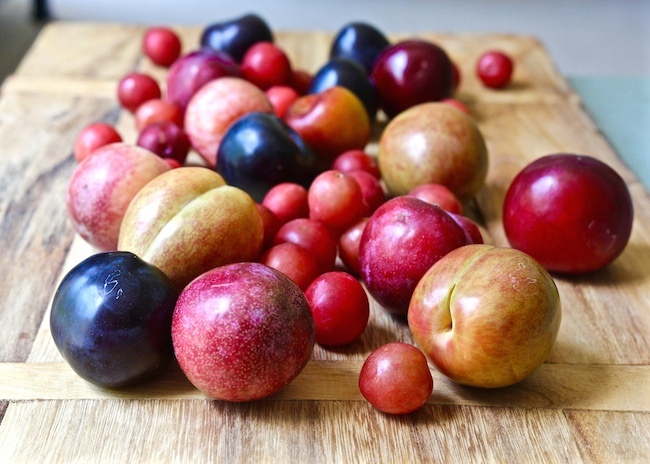 Sprinkle plums with remaining ¼ cup sugar. 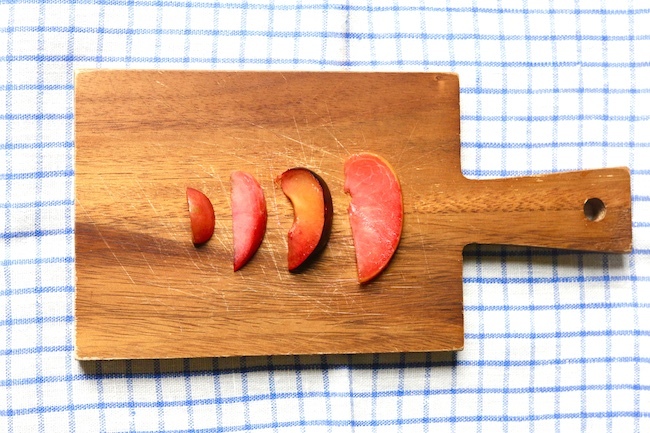 Fold edges over the plums to create a two-inch border. 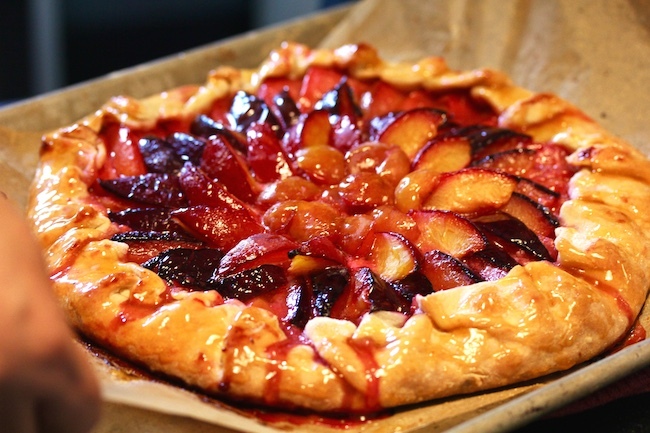 With a pastry brush, brush the turned over part of the crust with the strained preserves. Bake in 400 degree oven for 45-50 minutes. Allow to cool somewhat before cutting, and garnish with whipped cream or vanilla ice cream.